H.E. 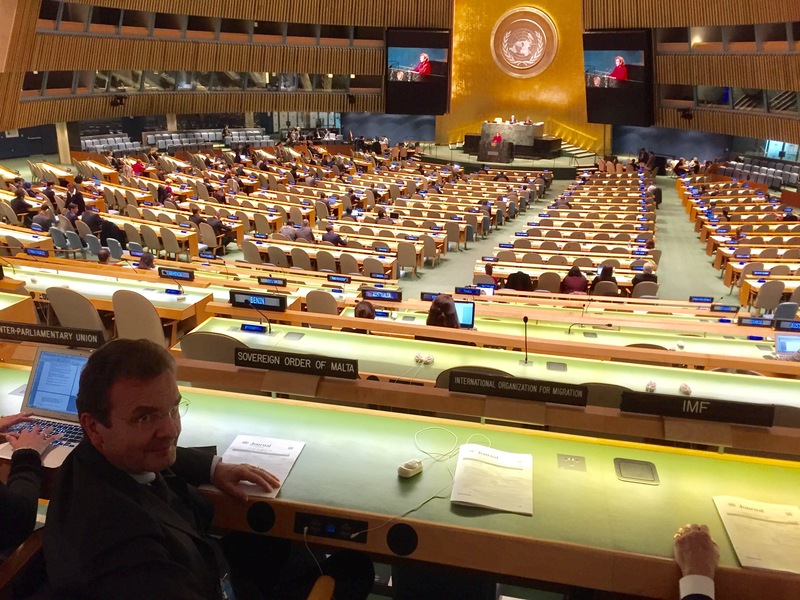 Ambassador Oscar R. de Rojas , Permanent Observer of the Order of Malta to the United Nations, meets with former U.N. Secretary-General Ban Ki-Moon in New York. 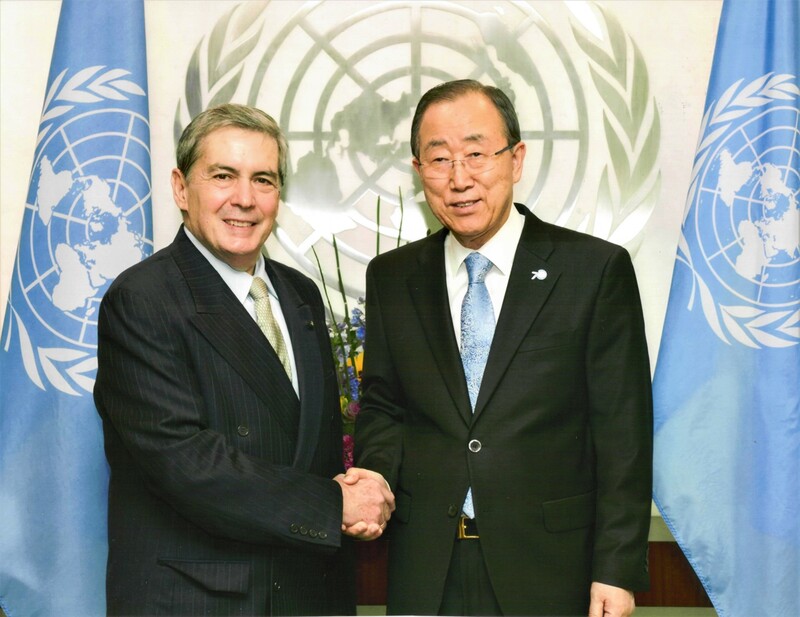 HE Ambassador Oscar R. de Rojas , Permanent Observer of the Order of Malta to the United Nations, meets with former U.N. Secretary-General Ban Ki-Moon in New York. H.E. 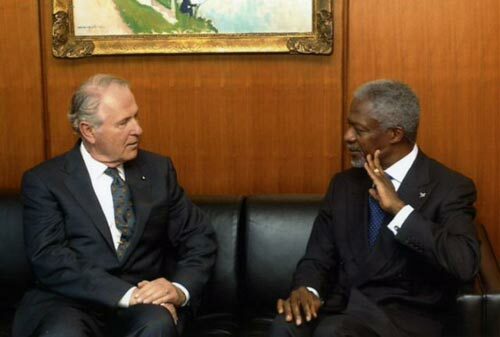 Ambassador Robert L. Shafer, Permanent Observer of the Order of Malta to the United Nations, meets with U.N. Secretary-General Kofi Annan in New York. 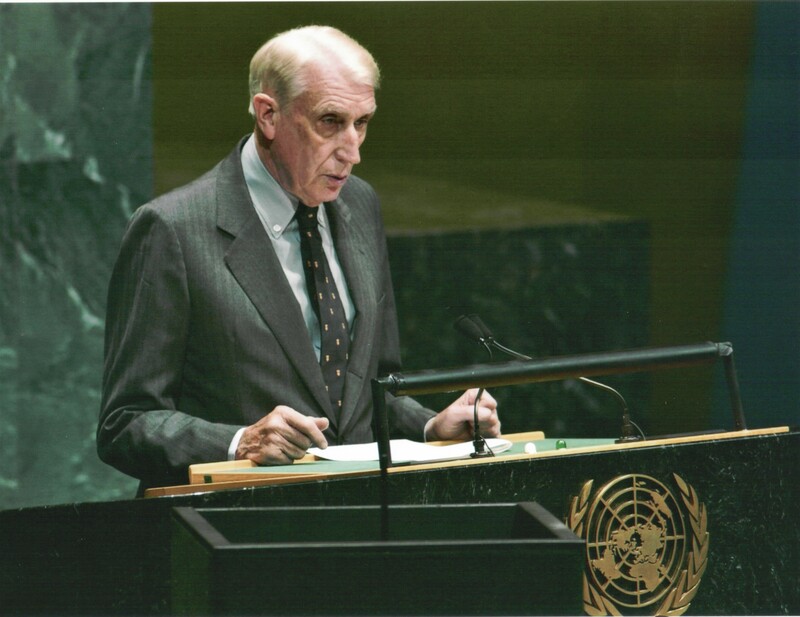 June 8, 2004 -- Ambassador Robert L. Shafer, Permanent Observer of the Order of Malta to the United Nations, meets with U.N. Secretary-General Kofi Annan in New York. 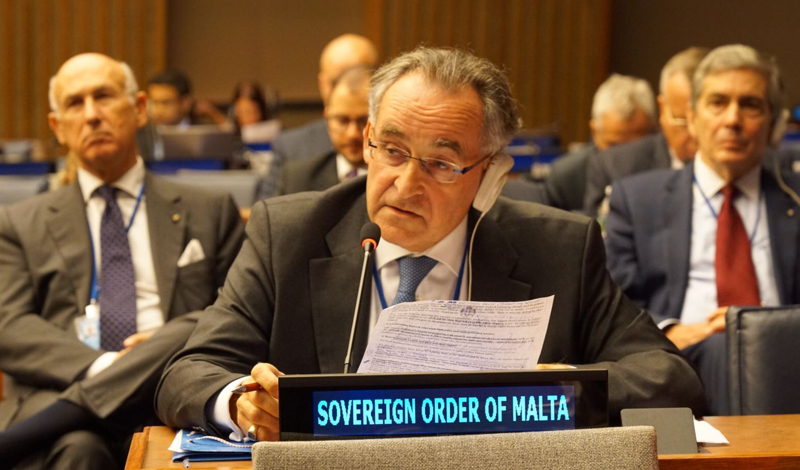 Grand Hospitaller Dominique de La Rochefoucauld-Montbel addressing the High Level Meeting of the General Assembly on large movements of refugees and migrants. 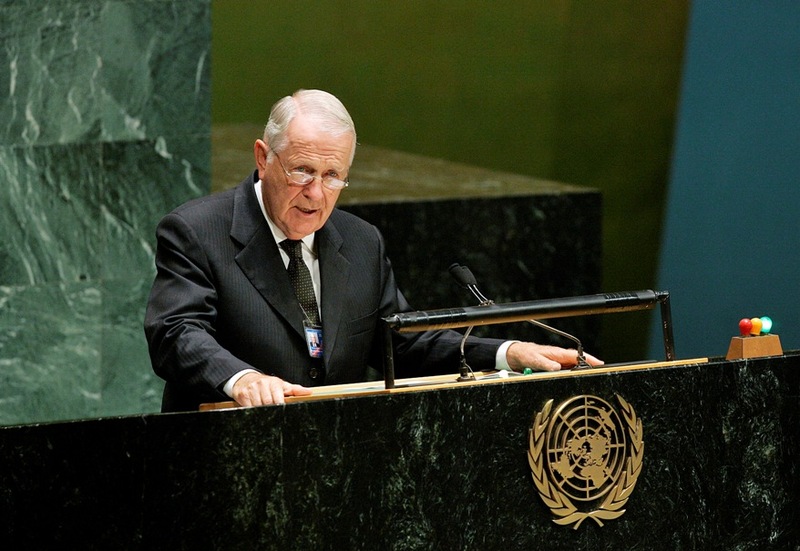 Grand Chancellor, H.E. 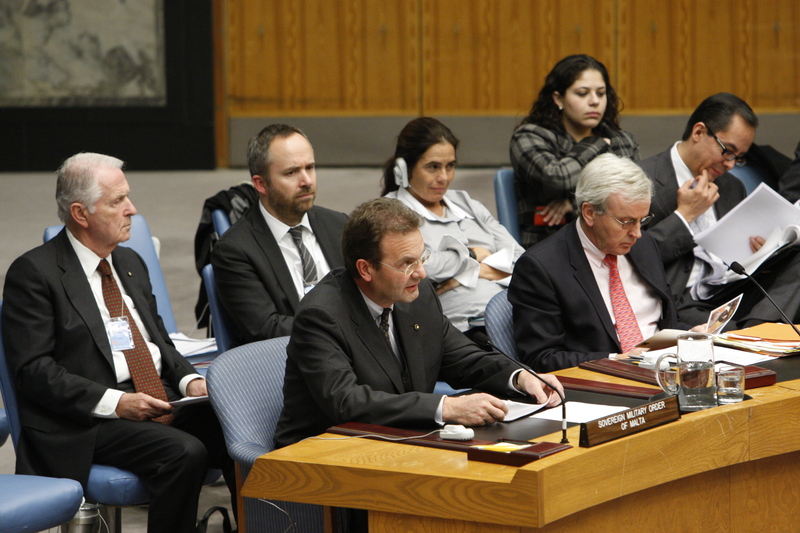 Albrecht Freiherr von Boeselager adressing the Security Council on the matter of "Protection of Civilians in Armed Conflict". 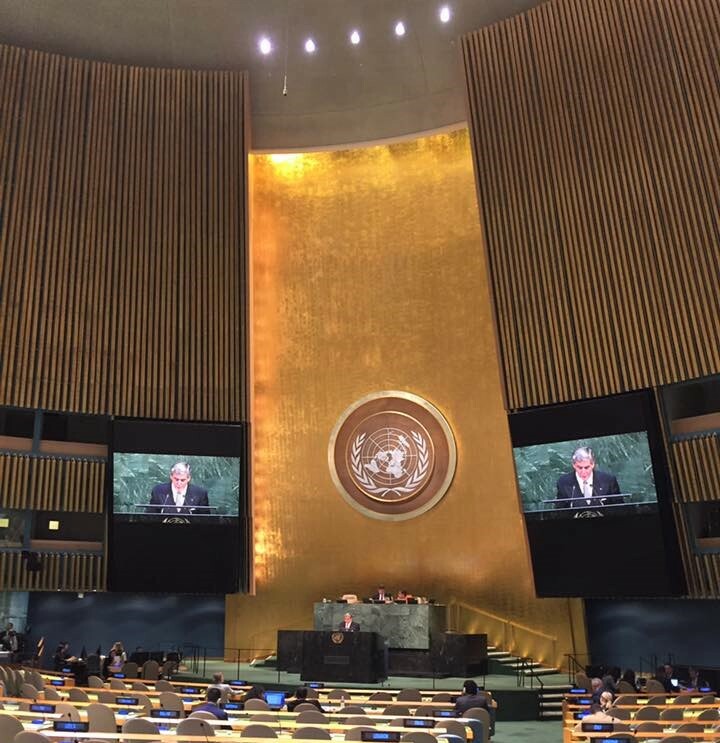 Ambassador Oscar R. de Rojas addressing the General Assembly on the occasion of the High Level Meeting on the Appraisal of the Global Compact Plan of Action to Combat Trafficking in Persons.